There are many significant milestones that we achieve in our lifetime. However, it is the journey that matters the most! Learning, growing, loving, and celebrating small moments are all that matters in this life. Thus, we must take out time for celebrating the small joys with our loved ones and add enjoyment and excitement to our mundane routine. Now should we wait for big things to happen? No, celebration does not need a reason if you ask me. There is something deep inside every human being that loves to celebrate the best things in life. We so much look forward to our family during a great Christmas or New Year party or Birthday or other celebrations that mark family customs or specific holidays. This season, it is time to introduce some Iconic Brands to your family and friends. 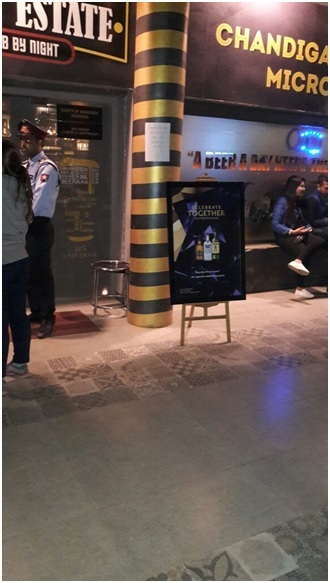 Celebrate together with the Iconic brand Chivas Regal at the Brew Estate in Chandigarh. It elevates the mood for real celebration. 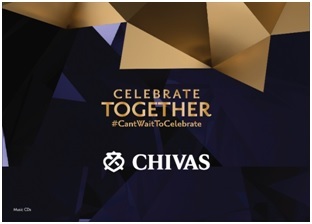 Celebration doesn’t have to be reserved for holidays or the biggest events of the year. We all need things to motivate us, because majority of our days are spent doing little tasks like working or cleaning our homes. Celebrations of any kind gives us the energy to pull ourselves through those difficult days. Have you ever felt like life was a little too routine? Parties are usually an excuse to meet and be with your loved ones and family. It is a time to recollect the things in life that truly matter. As we celebrate, we push to the back burner the negativity in life and indulge in doing things we love with the people we adore. There’s something about a great celebration that reminds us of the goal of our life and of the power of our closest relationships. Think of methods to incorporate parties of all kinds into your life. Make a big deal out of birthdays, weddings, or anniversaries. Throw huge parties for Thanksgiving, Christmas or other holidays and invite over your friends and family. Remember to cook great food, celebrate together and spend a couple of hours playing games that bring you all closer.